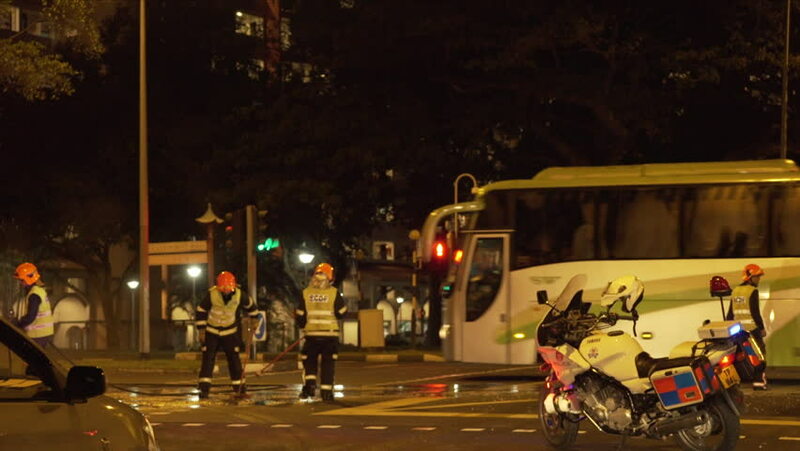 Singapore, April 2015: Emergency cleaners after a road accident. 4k00:20FRANKFURT - May 03: ULTRA HD 4K, real time; People walk in front of Old Opera in sunset on May 3, 2015 in Frankfurt, Germany. hd00:20HANOI, VIETNAM - CIRCA 2010: POV from a motorbike heading through traffic on a narrow bustling street in Vietnam.